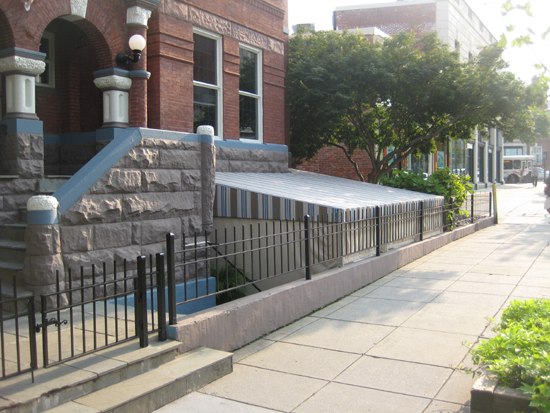 The S Street NW Patio of the Dupont Circle Brownstone on 8/4/2009. The Patio was located off of the Billiard Room and next to the Front Porch. The Spa was located under the awning on the Patio.